If you’re in between places and you need storage to keep your household belongings, there are several essential tips and tricks you should know about. Keep in mind that you’re paying for storage space in Minneapolis. Therefore, the less you have, the less space you’ll need to pay for. Who doesn’t like saving money? Sell or donate everything that doesn’t have a purpose in your home or bring you joy. Minimalism is rising in popularity and proven to improve mental health. Better yet, if you manage to sell some of your belongings, you’ll be reducing the financial hit of moving day. After you’ve purged a few items, it’s time to pack up your belongings. First, you need to figure out exactly what you need with you and what you need to store. Create a detailed list of the items you’re storing. Be as specific as possible and even take photos of everything. Include value estimations too. This will determine the type of storage facility you need. For example, vehicles and boats require unique storage. Contact us to discuss the items that need to be stored and the length of time. Do you need a lot of space? Do you need a storage space which is very accessible to your home? Are you storing fragile items or papers which require climate control? Do you have lots of valuable things that you’re keeping in storage? Consider paying for storage insurance. Although it can increase the cost of your storage, it’s often worth it for peace of mind. Consider the items you will put in storage and if you will need any of them before your move-in date. For instance, will you need your winter clothing and accessories before you move into your new home? Will you need access to specific files or paperwork as well? If you need access to any of your belongings before your move-in date, make sure your storage facility can accommodate you. Are you looking for moving and house storage options in Minneapolis/St. Paul, Rochester or beyond? We have you covered. Our business has been running since 1919 with scores of happy customers since then. 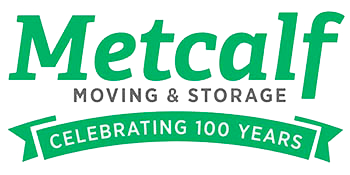 Get in touch today to receive a free quote for your moving or storage needs.